Orlandolimorental.com provides the best Titusville party buses and limo buses! 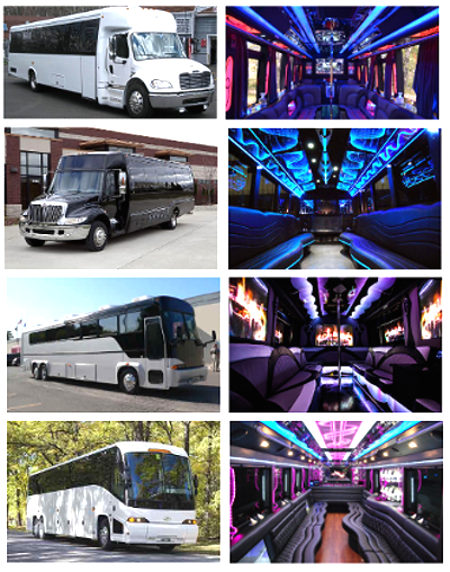 Preview our fabulous 18 and 40 passenger Titusville party buses! Our party buses provide the optimal solution for your large group transportation needs. Titusville Florida party buses feature great sound and video systems, in motion satellite, multiple wet bars, leather seating, restroom facilities, and more. Contact Orlandolimorental.com in Titusville Florida for the best party bus service on the Space Coast! Titusville’s proximity to Port Canaveral, Kennedy Space Center, Florida Space Authority, Cocoa Beach and Orlando tourist areas makes it ideal for you to utilize our bus services. We have shuttle buses, coach buses, mini buses, party buses, and charter buses. Call Orlandolimorental.com of Titusville to book reliable and affordable airport transportation, airport transfers, and shuttle bus transportation.